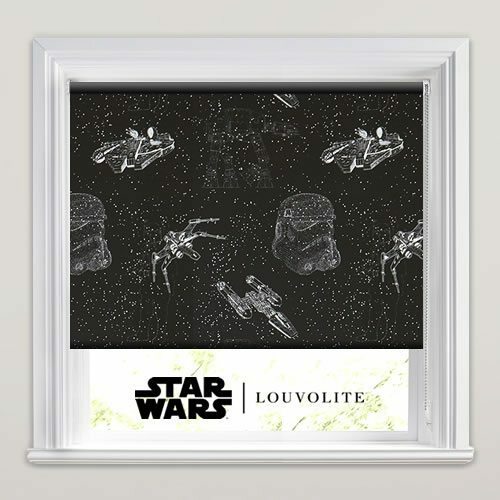 “Dum, dum, dum, dum da-dum, dum da-dum”… These high quality iconic Star Wars ™ battle scene blackout roller blinds will take your imagination to another galaxy. 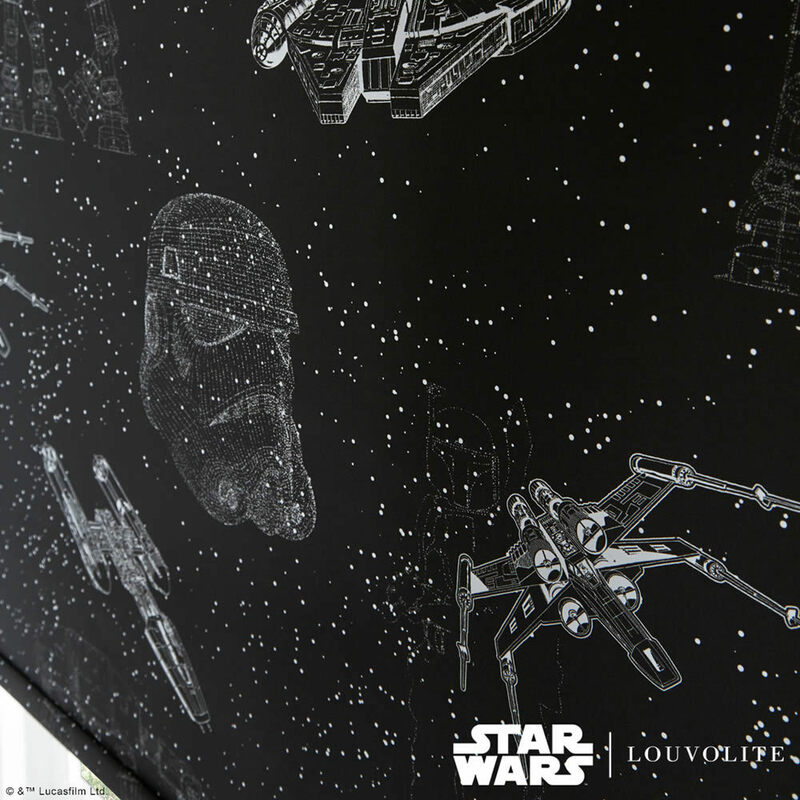 They feature wireframe drawings of Darth Vader, the Millennium Falcon, X-wing Starfighter, Y-Wing Fighter, and the AT-AT Walker set against constellations of stars in a dramatic monochrome colour scheme. 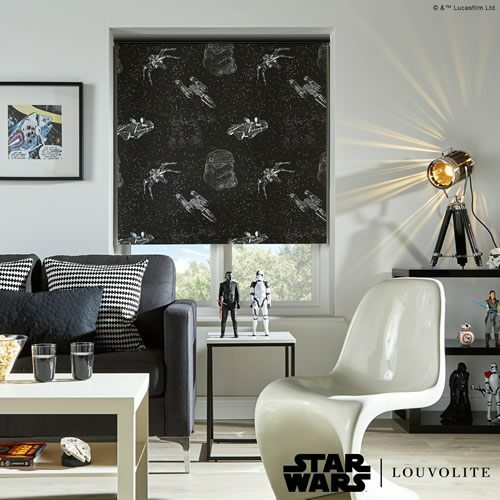 Perfect for budding Jedi’s of all ages, you can enjoy an epic battle at the windows of your home instead of in a galaxy far far away. 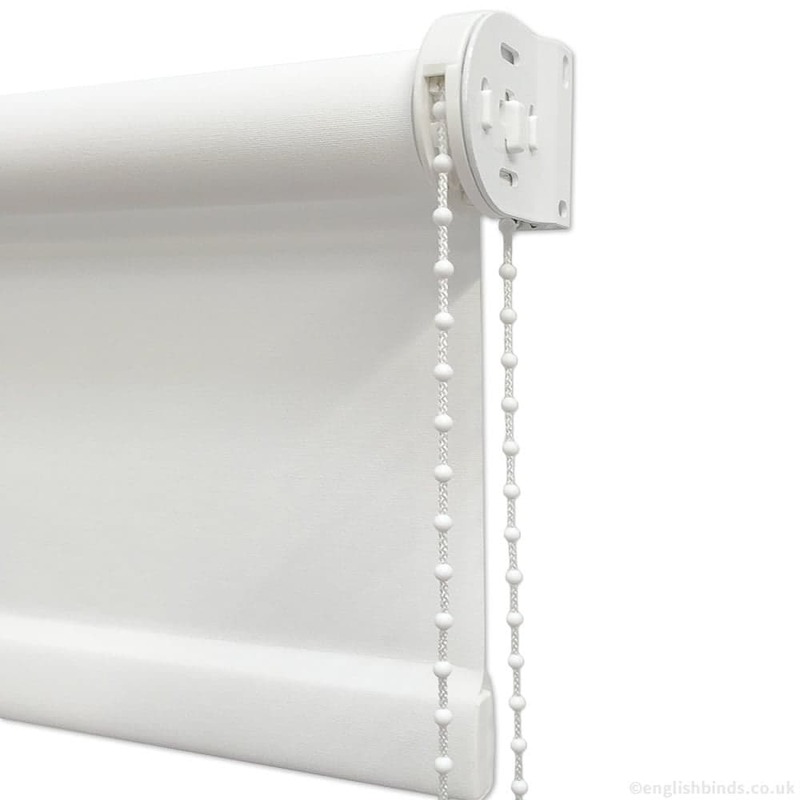 Great service, blinds are so well made. Have already recommended to others. Extremely satisfied, first time buying from English Blinds with a discount to boot. Ordering easy and delivery made earlier than stated. Overall experience excellent. 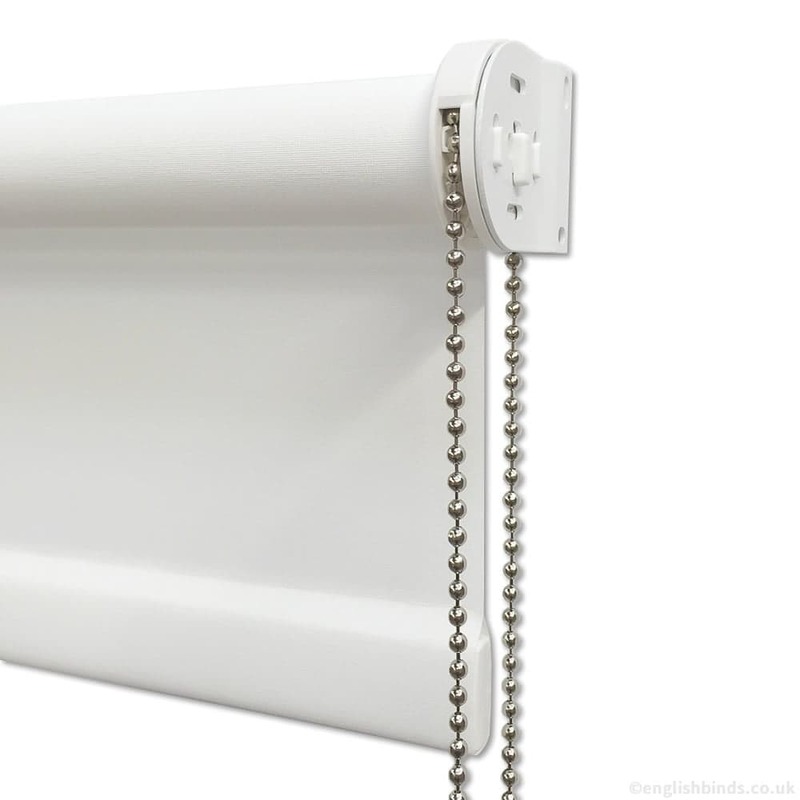 The blind we ordered looks lovely, very good quality. Would certainly recommend them. Thank you so much. The blind was well packed on arrival, and it was in place in minutes. Very easy to fit - perfect, thank you. My daughter even made a video with the blind, she was so pleased! 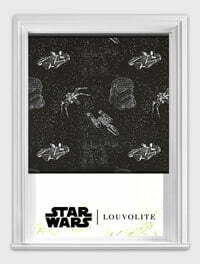 Exceptional customer service - I wanted to repeat an order of 3 years ago and it was done with the minimum of fuss.